Micro process bases sterilizer is for sterilization of solid instruments, hollow instruments packed instruments & porous loads. Heavy duty & compatible design.Microprocessor controlled. Self-evaluations on the process of sterilization, automatic failure detection report.Instant vaporizer outside the chamber. Stainless steel of 304 grade.Integrated printer as optional accessory. 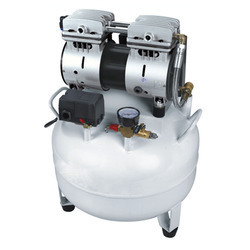 with safety locking device LCD display Water loading pipe with filter and direct draining to the water piping system. Possibility of serial connection to a PC, with cycle data recording. Tray holder contains, tray. Vacuum pump performing Two stage (pre & post vacuum). Thermal drying system. Full water alarm system. 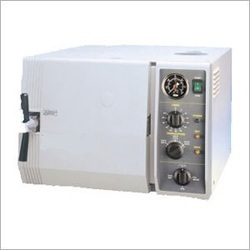 Input power: 220/240 VAC, single phase. We are involved in manufacturing and exporting a huge range of Electronic Dental Chairs that are designed in accordance with the industrial standards. We have team of highly qualified craftsmen who are expert in designing these chairs in most advanced design so that they support all requirements and different positions during dental operations. These chairs are designed using best quality raw material and latest technology and are widely used in various hospitals and medical institutes. With immense experience in the field, we offer a broad array of Pneumatic Surgical Stools (Item Code: D.E-02) that are highly appreciated in the medical industry. These stools are manufactured from top quality raw material using most advanced technologies. 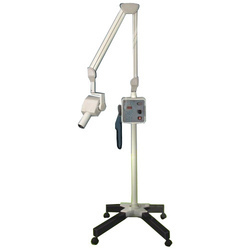 Our pneumatic surgical stools are designed as per the requirement of modern and hi-tech medical organizations. 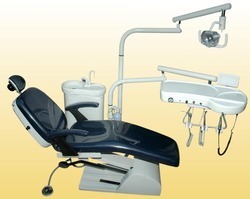 A pneumatic piston is provided to adjust the height as required with adjustable back rest to offer more ease to the dentist as well as the patient. Dental chair manually operated hydraulic chair with 'Z' base, chair has all positions such as up-down, back complete flat and up. Headrest rotates to 180 Degree and could used as pediatric head rest. 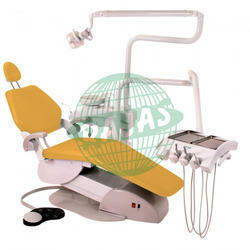 Chair can be fitted manually operated unit or fully automatic unit as desired. 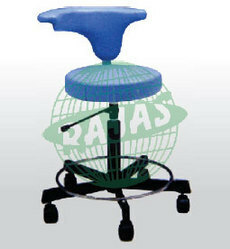 Surgical stool, height adjusted by pneumatic piston with adjustable back rest. Provision of Inbuilt suction unit one three way syringe and provision for air motor and air rotor hand piece, Halogen light having two intensity of 9 V and 12 Volt, spittoon and tumbler operated by solenoid value a x-ray view box provided with the unit to view the x ray on site, water attachment with water tank provided, heavy base sheet finish with off white powder coated paint and the color of the seat as per choice of the customer a thick lamination sheet provided on the seat to avoid the damage due to any liquid substance during procedure foot control hydraulic system given smooth movement to the chair for up and down.